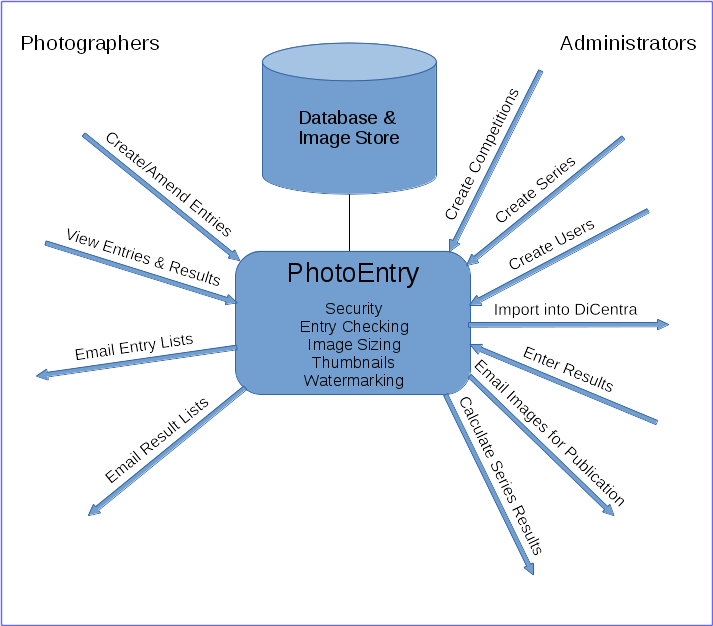 PhotoEntry is a web-based system, hosted in the Amazon Web Services (AWS) cloud. An administrator in each club defines their competitions and their users, then PhotoEntry accepts and stores entries made by the users. The entries can be downloaded to run the competition, and the results uploaded back into PhotoEntry. Series results can be calculated at any time during the season.